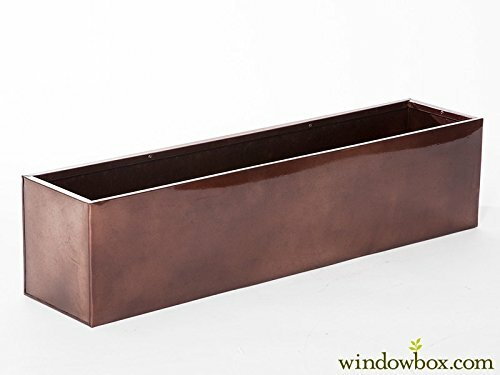 Finish your DIY project before your neighbor's even start - Oil-Rubbed Bronze Metal Window Box Liners. They are a fast and easy curb appeal idea to increase the value of your home and free up more spare time. These metal planter boxes are extremely versatile! Use on fence or window boxes just add 9" shelf brackets. Or as planters - place anywhere on the patio and enjoy. And don't forget as planter liners - these fit our aluminum and wrought iron cages perfectly. With the detailed oil rubbed finish, the variance of bronze and gold give your home the elegant touch you deserve. Liners come with pre-manufactured drainage holes.